Unkept promises during polls is nothing new for the Indian public. But implementation of land reforms which have been at the fulcrum of a promise to socio-economic justice since the end of the Raj refuses to die down. 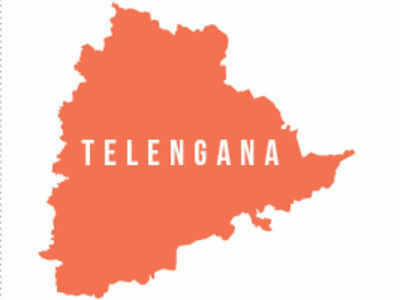 No wonder, the issue found its echo during the agitation for statehood in Telangana with its chequered history of upheavals centered on the land question. The Telangana Rashtra Samithi (TRS) gave it credence by promising to give 3 acre land to poor dalits. When the land distribution programme was kick-started with great fanfare on 15th August, 2014 at the historic Golconda fort (ironically from the seat of feudal power during the Nizam rule), it was dubbed a silent revolution. With the state all set to go to polls again on December 7, 2018 after a 4 year stint in power it’s time to take stock of the situation. The TRS government’s scheme envisages to provide three acres land to each of the around three lakh landless dalit households, and three lakh more households which have less than three acres land. The Scheduled Caste Development Corporation was empowered to buy land at a maximum of Rs 7 lakh per acre for distribution. A cumulative report on land purchase and distribution on the Telangana Scheduled Castes Co-operative Development Corporation website indicates, the number of beneficiaries identified stands at a mere 5,759 in all the 31 districts. The extent of actual land distributed to 5,759 beneficiaries and registered is a mere 12,933 acres. The total cost of land including registration charges to the exchequer are Rs 548.84 crores. Activists and intellectuals aver the implementation has been mere eyewash. “The land distributed has been uncultivable. The promised help with inputs and finance for 1 year has been non-existent. The government has acquired more land than it has distributed to dalits. In one instance, crest area of the village tank was sold by a TRS leader named Rami Reddy for Rs 2 crores. Essentially the government lined the pocket of private persons by buying its own land,” said N. Krishna, researcher at the Hyderabad Central University on land question and president of Telangana Praja Front (TPF). Apart from the lack of political will, official apathy and procedural issues seem to be adding to the woes of applicants in getting land. “Nobody in our mandal has been given land under this scheme. I had to get land by August 15th, 2015 itself. Officials claim they are not able to buy land. Land holders are also unwilling to sell land as they are not paid immediately after transfer of land. Government land is also available but it is under encroachment. No effort has been made to vacate them,” says K. Veeresh, an applicant and resident of Kothur village in Khanapur mandal. One need not be surprised by such blatant failures, when the state has so far failed to provide land to beneficiaries who were allotted land by none other than the CM, K. Chandrasekhar Rao from the ramparts of the Golkonda fort on August 15, 2014. “We were given uncultivable government land. Efforts to make it suitable for cultivation have been ongoing for the past four years. The documents have also been taken back from us by the officials. Visits to local MLA have had no impact. With election code on there is no progress,” said Redpaka Laxmi the beneficiary. In case of Suddala Padma from Cheppial village in Choutuppal mandal and 10 others though their names appeared in the list the distribution has been stopped. “Some upper caste people influenced the officials and stopped them. They want to give land to those who work for them and we have been left in the lurch,” says Chirra Pochamma one of the beneficiaries. An instance of land allotted by the government becoming embroiled in controversy came to light after those who were unofficially enjoying the land objected to the land being distributed. “I spent Rs70,000 on the land from my pocket after getting the land and now I am unable to enjoy the land. The officials have not made proper efforts to secure my right and now cite election code for resolving the issue,” Bommana Rajaiah from Davanpally village in Devanpalle mandal said. In this milieu, a ringside view of the history of land reforms will be in order. In 1969, Mahalanobis estimated at 20 acres limit the country would have a surplus land of 6.30 crore acres. But the 7th plan estimated the extent of surplus lands at 72 lakh acres. The issue has been on government agenda from day one going by the public pronouncements but never acted upon, says S. Malla Reddy, vice president of All India Kisan Sabha (AIKS) affiliated to the CPI(Marxist). “Ironically, land to the tiller, a slogan of the communists has been used to stave off public anger and elicit hope. Once the Congress party lost its mass base, it brought the issue on to centre stage during the 4th five year plan (1970-71). It asserted land reforms are central to growth of farm incomes,” says Mr Malla Reddy. Being a state subject, the united AP brought the land reforms act and ratified it in 1973. It was to be implemented from 1.1.1975 as per the central government’s directions. The 2 year gap gave scope for fudging of records and the excess lands were divided among relatives, friends, and even bonded labour of feudal landlords. The farce of the exercise can be gauged with the AP state government’s own committee headed by its cabinet minister Koneru Ranga Rao declaring in 2006 the state has a surplus of 40 lakh acres. S.R. Sankaran, a distinguished bureaucrat, had averred in 2006 land reforms were a total failure in implementation. Frequent changes in ceiling limits and exceptions given for horticulture, trusts, educational institutes, health service providers from ceiling limits enabled huge tracts of land to be out of the ambit of land ceiling. Some of the lands have also become entangled in court disputes. An estimated 72 lakh acres of land was distributed in the combined state of Andhra Pradesh as per the government figures, Mr Malla Reddy said. There are 45 lakh dalit families out of a population of 3.5 crore in the state. “KCR (currently caretaker CM of Telangana, K. Chandrasekhar Rao) is only paying lip service on land to dalits. The state has not veered from the neo-liberal agenda under which land distribution is anathema. Ceiling limit cannot be implemented by buying lands. Land records were corrected recently to serve the interests of real estate players and to identify government lands. Schemes like rythu bandhu (under it a farmer gets Rs 4,000 per acre as input subsidy) are not useful to a majority of farmers in Telangana as tenancy is high. More land has been acquired from dalits and sold to corporates on concessional rates,” avers G. Haragopal, retired professor and human rights activist from Telangana Civil Liberties Committee. The Koneru Ranga Rao committee in 2006 said that 48 percent of the tribal lands have been alienated to non-tribals despite the Land Transfer Regulation Act 1 of 1970. The decrease in surplus generated from agriculture owing to usury and policies favouring the industry have over a period of time dissuaded people from land struggles. There is a 25 to 30 year gap between the first phase of reforms and the second phase indicating the lackadaisical approach to the issue, Mr Krishna explained. “Consecutive five year plans and the 20 point programme chalked out during emergency also talked of land reforms. The Jai Andhra agitation though looks triggered by mulki recommendations was actually anti-land reforms in Andhra region. Land concentration has reduced over a period owing to market mechanics and growth of towns and cities. The constitutional mandate of social and economic equality has been a casualty,” Mr Haragopal said. As per agricultural census, 2010-11, the (total area of land in the state is 114.84 lakh hectares), total agricultural holdings in the state are 55.54 lakhs and the total extent of land under these holdings is 61.97 lakh hectares. The average size of the holdings in the State is 1.11 hectares. Nearly 62.0 percent of the holdings are marginal (less than 1 hectare) and the percentage of small holdings (1 to 2 hectares) is 23.9 percent. Thus, marginal and small holdings constitute about 85.9 percent of total agricultural holdings in the State, making agriculture a subsistence source of livelihood for the majority of the population. “The extent of land under the remaining 14 percent is 45 percent. If the total extent of land under cultivation 61.97 lakh hectares is distributed among the 55.54 lakh agricultural holdings, a family or an agricultural holding would get around three acres each,” Mr Krishna explained. According to National Sample Survey Organization (NSSO) data 2003-04 about 41.63 percent of households in India do not own land other than homestead. The data also shows that while one third of the households are landless, those near to landlessness add up to one third more. The next 20 percent hold less than 1 hectare. In other words, 60 percent of the country’s population has right over only 5 percent of the country’s land; whereas 10 percent of the population has control over 55 percent of the land. At the all-India level, 58.4 percent of the Dalit households are landless, much higher than households in any other social group. Lakhs of acres have been snatched from farmers in the name of Haritha Haram, Open cast mining, thermal power projects, pharma cities, irrigation projects and many others which have come on land given to dalits and other weaker sections on assigned lands without paying proper compensation in the last four years. Giving land to dalits will not resolve the crisis of rural livelihoods but will help them move away from humiliating caste based occupations like manual scavenging and help in redeeming their dignity, Mr Krishna of the TPF said. “Democratic space has been stifled in Telangana with closure of Dharna Chowk (a designated place for protests) and dissent muzzled. There are 20 lakh educated unemployed in state. TRS is pro-BJP in its agenda and hobnobs with AIMIM (All India Majlis Ittehadul Muslimeen, a largely Hyderabad based party) for electoral arithmetic, the former Hyderabad Central University professor,” Mr Haragopal informs. It may be recalled that in the wake of the anti-imperialist struggle, the need for redistribution of wealth by land reforms to attain socio-economic equality has been stressed across the political spectrum from Bhagat Singh, Ambedkar to Communist leaders. Dr Ambedkar had argued in his article on state socialism for nationalization of land. He emphasized that there is no political democracy without socio-economic democracy. The Telangana armed struggle which raged after the British left only mirrored this assertion and need. Failure to implement land reforms has been captured vividly by Gunnar Myrdal in his book “Asian Drama-An Inquiry Into the Poverty Of Nations”. With reports of India’s richest 1 percent garnering 73 percent of total wealth in the country, according to international rights group Oxfam, redistributive economic policies attain added importance. Being an agrarian economy with 65 percent population relying on the agricultural sector (which accounts for only 11 percent of the GDP) the need for action becomes clear. India fell to 103rd position from 100th position in 2017 on the Global Hunger Index for 2018. The index ranks countries based on four key parameters: under nourishment, child mortality, child wasting and child stunting. The TRS which has gone to the polls has reiterated its resolve to fully implement the land scheme, free education from KG to PG and double bedroom per family among its other promises. But its actions in the last four years fail to evince any hope. The Congress party on its part and its coalition called “Mahakutami” (which includes CPI, TJS and TDP) while assuring to fulfill the promises of TRS has however steered clear of the three acre land promise to Dalits.